LEGO! Get your kicks with bricks - the Danish toymaker sent us a batch of photos of their new toys, which you can undoubtedly find in stores in the next 30 days. We've got the pictures, the press copy, and a lot of pasting after the jump. Friends, foes, and frenemies are back from pretty much everybody this month as Rogue One: A Star Wars Story gives you a reason to go to the toy store over lunch once again. Because I am nothing if not tired and lazy, I am going to copy and paste Hasbro's press release below with new toy images of MicroMachines, 3 3/4-inch action figures, new NERF blasters, and some other stuff. Our sponsors are taking advance orders on 3 items, so here's a look at what you can expect later - with a few prices - after the jump. 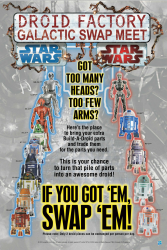 Hasbro will be hosting the Galactic Swap Meet at the Hasbro booth at Celebration V! Bring your surplus Build-a-Droid parts and trade with us, and other fans, as our booth becomes the hub for some serious droid-part-swapping! 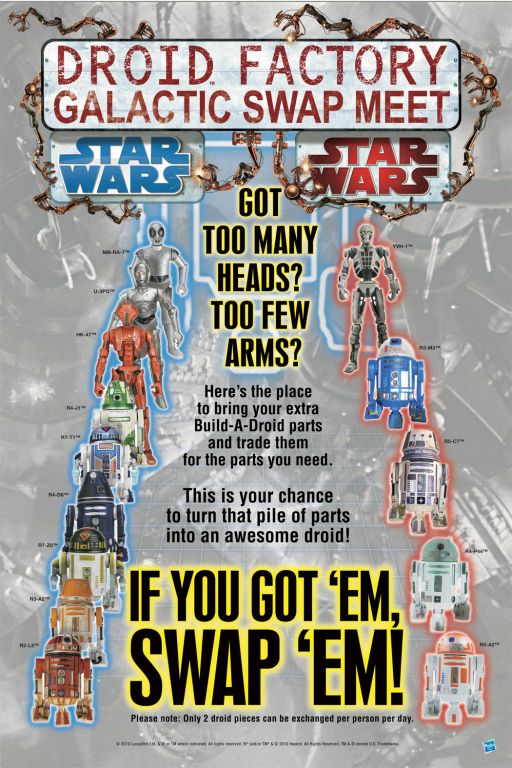 We will have a limited supply of complete parts available for 14 of the buildable droids from the Legacy/Droid Factory basic figure line (see attached poster for exact droids we will have). Just bring your extra Legacy/Droid Factory parts and trade them 1-for-1 for parts you need to complete your unfinished droids. Even if you don’t see the droids for which you need parts on the list, bring what you have anyway... there’s always a chance that another fan will have what you need. To ensure that as many people as possible can complete their droids, we ask that only 2 Droid pieces be exchanged per person per day.